Sempra Energy (NYSE: SRE) and Total S.A. (NYSE: TOT) today announced that they have entered into a Memorandum of Understanding (MOU) that provides the framework for cooperation in the development of North American liquefied natural gas (LNG) export projects. The scope of MOU covers continuing the development of the Cameron LNG liquefaction-export project in Louisiana and Energía Costa Azul (ECA) liquefaction-export project in Baja California, Mexico. ECA Phase 1 is a one-train facility with an expected total export capacity of 2.5 Mtpa, utilizing the existing LNG receipt terminal’s tanks, loading arms and berth. ECA Phase 2 is expected to have additional export capacity of 12 Mtpa of LNG. The ECA project is located in Baja California, Mexico and will be supplied with natural gas from the United States. With a portfolio of 15.6 Mtpa of LNG managed in 2017, Total is one of the world’s leading players in the sector, with solid and diversified positions across the LNG value chain. Through its stakes in liquefaction plants located in Qatar, Nigeria, Russia, Norway, Oman, the United Arab Emirates, the United States, Australia, Angola and Yemen, the Group sells LNG in all global markets. 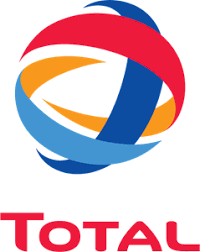 Following the acquisition of Engie’s LNG business, Total became the second-largest private global LNG player among the majors, with an overall LNG portfolio of around 40 Mtpa by 2020 and a worldwide market share of 10 percent. LNG development is a key element of the Group strategy, which is strengthening its upstream positions in the major production regions with projects in Russia, the Middle East, the U.S. and Australasia, as well as its downstream positions in all markets.